hurricanesad: PHOTO STORY: Hurricanes: News-Editorial: Award-Winning Evansville Photographer: Molly Bartels specializing in editorial, wedding and art photography in Evansville, Indiana. 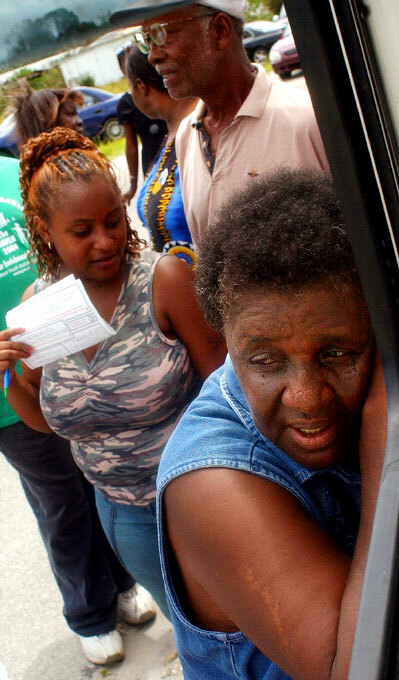 Margaret Wynn, tired and hungry, waits in line at a mobile Red Cross Disaster Relief van in Vero Beach. The van was giving out water and non-perishable food items.